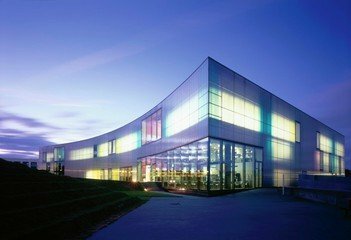 The Laban Building is a cutting edge contemporary dance school and event venue located close to the vibrant and historic town centre of Greenwich. 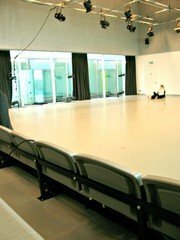 Part of the building’s many impressive venue hire facilities, the Laban’s studio theatre is available for rental as an auditorium and workshop space. The studio theatre is large space featuring a seating area, lighting rig, blackout curtains and AV facilities with playback for CD and cassette. It has a maximum capacity of 230 standing and a seating area for 100, which can be fully retracted. 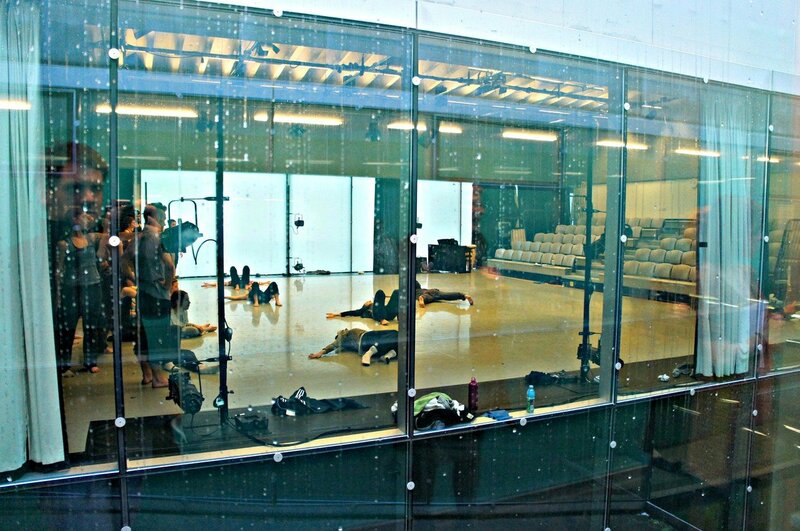 This contemporary space is well suited for creative workshops, performances, photo shoots and fashion shows. A TV, VHS and DVD player are included and additional technical equipment is available on request. There is also a small studio at the back of the theatre which can be used as a backstage area, accessed directly by adjoining doors. The theatre can also be hired for half days for 1500 pounds (price does not include VAT). Hire space in the Laban’s other event facilities through Spacebase, including its theatres, studios, outdoors and other meeting rooms.